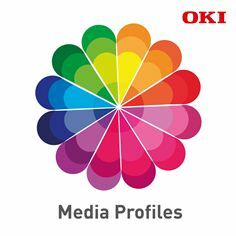 Egham, 21 November 2018 – OKI Europe has launched a dedicated database for ColorPainter users with over 14,000 media profiles, giving registered users fast, free access to accurate media and colour management settings and unlocking new revenue opportunities for graphic arts businesses and creative organisations. To register for a free Media Profiles account, visit https://www.oki.com/eu/printing/products/largeformat/graphics/media-profile/ and follow the instructions. For more information on the OKI large format ColorPainter portfolio, visit www.oki.com/eu.